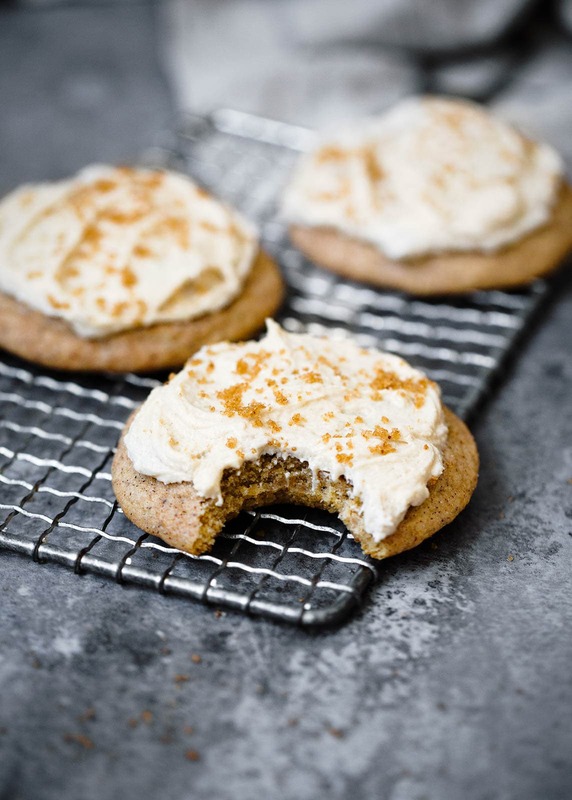 Oh my goodness, Soft Batch Brown Butter Snickerdoodles, oh my goodness. OK before I get into these, can I tell you guys a secret? Alex and I are thinking about getting a dog. I’ve always liked dogs, but in the last few years I’ve become obsessed. I blame my mom. She is so obsessed with dogs that she will stop anything she’s doing, walk up to a dog, and start petting it. Growing up I used to think she was koo-koo. But recently I’ve been wanting one so badly. I GET IT NOW, MOM. Okay, now for cookies. I tested this brown butter snickerdoodle recipe like four times to get it as perfect as could be, and the result is one of the best cookies I’ve ever made on the blog. They’re so soft and moist. I added a secret ingredient to make them extra tangy—Greek yogurt. 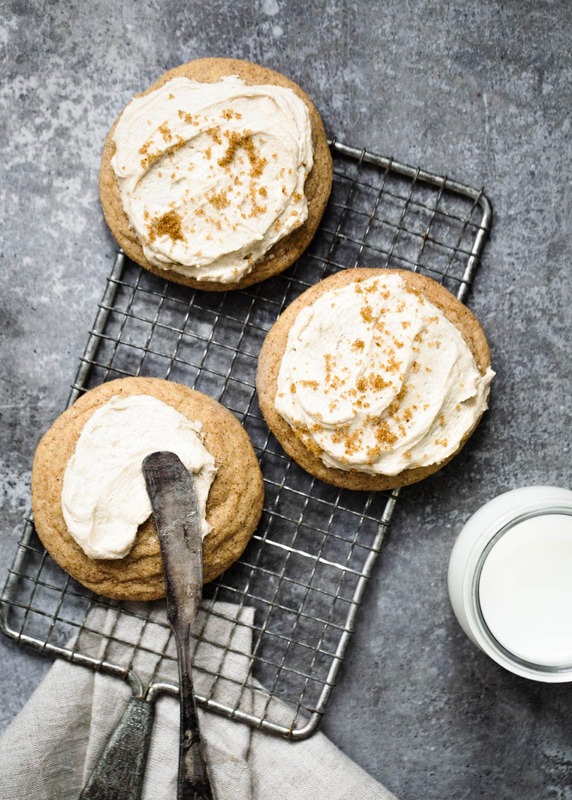 It gives the cookies that classic Snickerdoodle taste, but with a twist. It also helps with the chewiness of the cookies (chewy factor = out of this world). I baked these babies using my newest bakeware from Anolon (namely, their 8.5-inch French skillet and their 14×16-inch cookie sheet). I was especially amazed at how well the cookies baked on the non-stick cookie sheet; no parchment paper or greasing was required. The cookies slid right off the tray. And even more importantly, they cooked perfectly evenly. As someone who bakes literally every day, I highly recommend getting this cookie sheet. And it’s only $15.99! Like what?! Snickerdoodles are supremely easy to make, but there are a few things to keep in mind when making a batch of these cookies. Watch the browning butter like a hawk—Learn from my mistakes: once you start making the brown butter, DO NOT WALK AWAY FROM THE STOVE. Once the butter starts changing color, it can go from perfectly browned to burnt in less than a minute. So don’t try and multitask during this part of the cookie recipe, or else you’ll regret it. Don’t skip the yogurt—I know 1 tablespoon of yogurt sounds like it wouldn’t affect these soft snickerdoodles very much, but it actually make a huge difference in these cookies! The yogurt (or sour cream) adds a subtle tanginess and an extra punch of moisture to the cookie dough. Make sure you’re using full-fat, plain yogurt and nothing flavored. Don’t substitute the cream of tartar—Cream of tartar is the not-so-secret ingredient that makes snickerdoodles so amazing. Unfortunately, you really can’t substitute anything for cream of tartar without compromising the flavor of these cookies. Slightly under bake these cookies—You want to bake these brown butter snickerdoodles until they just barely start to wrinkle at the edges. 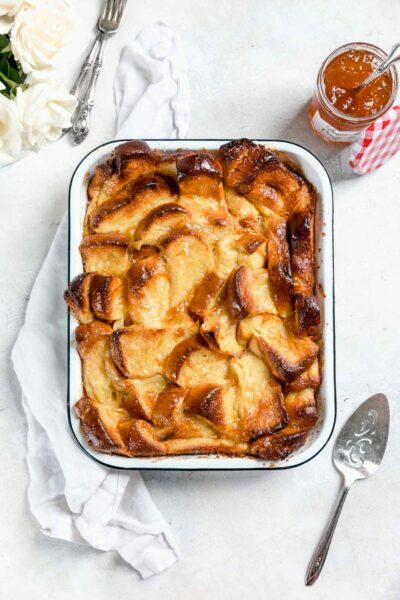 They’ll continue cooking on the baking tray after you’ve taken them out of the oven, and by under baking them slightly you’ll ensure that these babies will stay nice and soft once they’ve completely cooled. Preheat oven to 350°F. Prepare a baking sheet with either parchment paper or oil. Set aside. In a small saucepan over medium heat, melt the butter for roughly 5 minutes, swirling the pan every 20 seconds or so. Heat until the white milk solids become a medium brown color. Remove from heat and allow to cool slightly. In a large bowl, combine browned butter, granulated sugar, and brown sugar. Whisk to combine. Add in egg and yolk, whisking until the mixture turns slightly lighter in color. Sprinkle in salt, baking soda, cream of tartar, yogurt/sour cream, vanilla, and flour. Fold batter together using a spatula. Mixture will be relatively wet. Combine sugar and cinnamon in a small bowl. Roll 2-3 tablespoons of batter into a ball, then dip completely in cinnamon sugar. Place on prepared baking sheet, leaving at least 1.5 inches between each cookie. Repeat with remaining cookies. Bake for 12-14 minutes, until the cookies have started to wrinkle but are still pale in color (NOT golden brown!). Remove from oven and let sit on baking sheet for 10 minutes (they will continue to cook as they cool). While the cookies are baking, make the frosting. Combine butter, dark brown sugar, and powdered sugar in a standing mixer. Whisk on medium speed until batter becomes light and fluffy, about 1 minute. Once cookies have cooled completely, top with frosting. Or don’t, because to be honest these cookies are AMAZING on their own, too!! This post is sponsored by Anolon. All text and opinions are 100% my own. Thank you for supporting the companies that help make Broma possible! 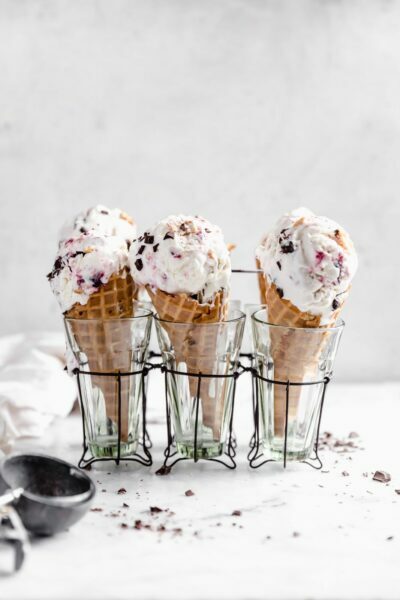 Oh wow, these look so yummy! I love snickerdoodles, especially this time of year. Ohh I love this video! Also, can I eat a vat of that frosting? I just need it! Rescue a dog! You will NEVER be sorry you did. ??? 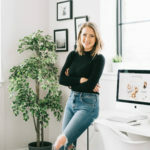 Love your blog – beautiful photography and great recipes! In the video I see 2 eggs and what looks like 1 cup butter instead of the recipe list stating 1/2 c butter and 1 egg. I have followed the written recipe to the T-and it is not at all “wet” but quite solid much like traditional cookie dough. Did you double the recipe in the video? Hi Sandy! In the video I used 1/2 cup butter and 1 egg plus 1 egg yolk. I did just notice that I only put 1 egg in the written recipe, but have updated it now. My apologies! Even so, the dough should’ve still been fairly wet; the difference with not putting in 1 yolk should not make the batter dry…. did you use traditional AP flour and measure out 1 1/4 cups? Sorry for the difficulty! You had me at brown butter Sarah! They look delicious! Love the video too! 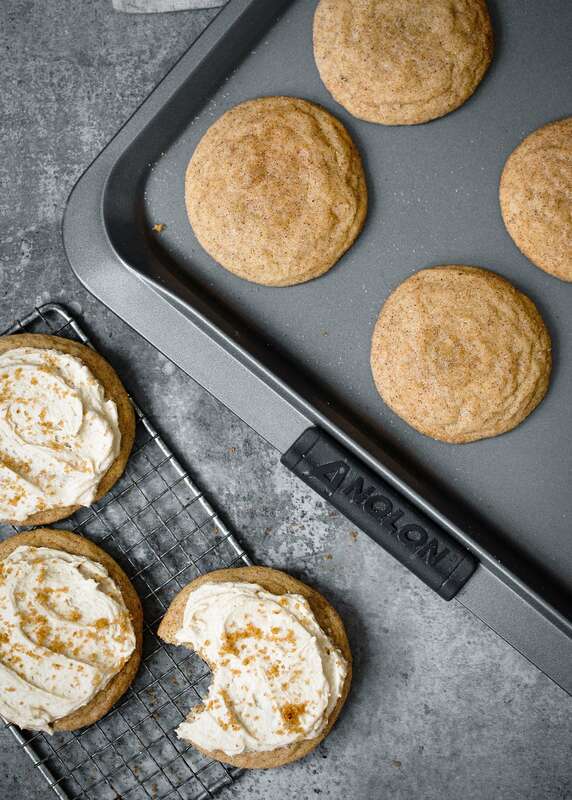 These cookies are perfection and I love Anolon pans… so, are you going to get a dog? My kids are dying to get one. . I’m still on the fence. Oh my goodness, so glad you know and love them! I don’t want to bake with anything else now!! And omg we really need to. What kind is the big question though!!! I literally can’t resist anything that says “soft batch”. Done. Sold. Gimme. Yaaay, another vote for the dog! Thanks love! Does the batter really require no chilling time. Before baking? Usually with melted butter my cookies are flat unless I chill the dough. Just want to make sure before I make them tomorrow. That’s so exciting that you are thinking of getting a dog!!! I hope you do! 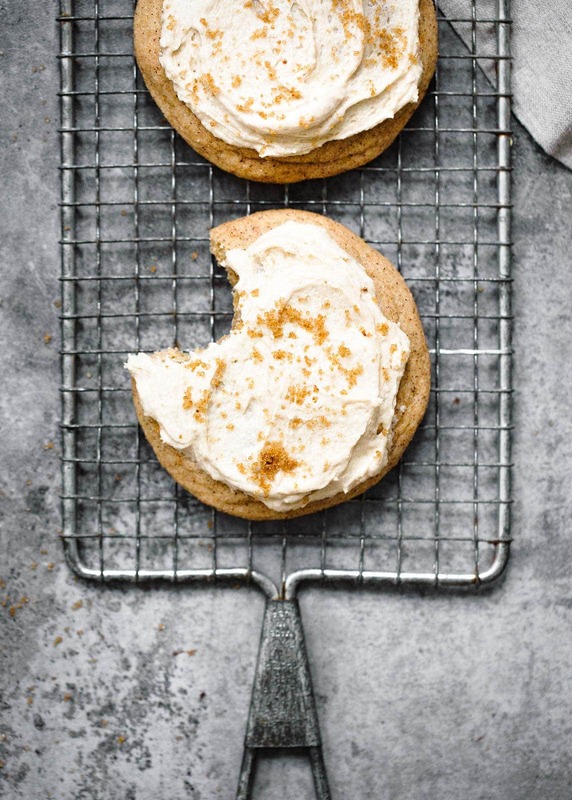 I absolutely LOVE snickerdoodles, so these cookies are right up my alley. They look so beautiful!